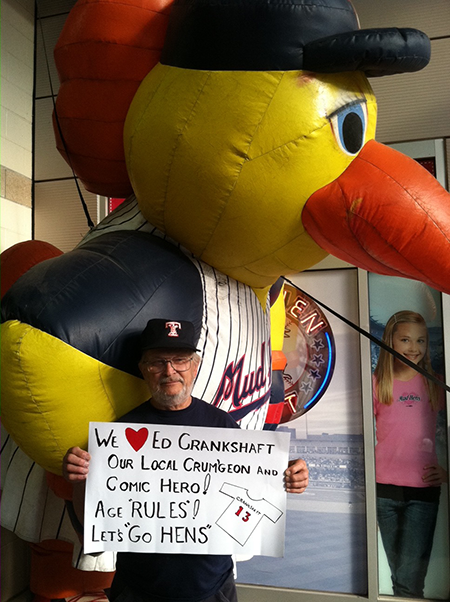 On Friday July 29th, the Toledo Mud Hens retired Ed Crankshaft’s team jersey and the first two thousand fans at the game received a Crankshaft bobblehead. It was the culmination of a story that started rather simply. I just wanted to tell a tale about Crankshaft reaching for the brass ring but only getting his fingerprints on it. 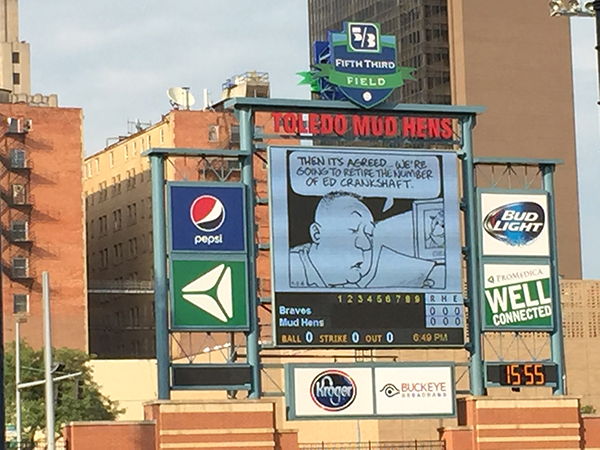 Baseball and the Mud Hens by extension became my metaphor. 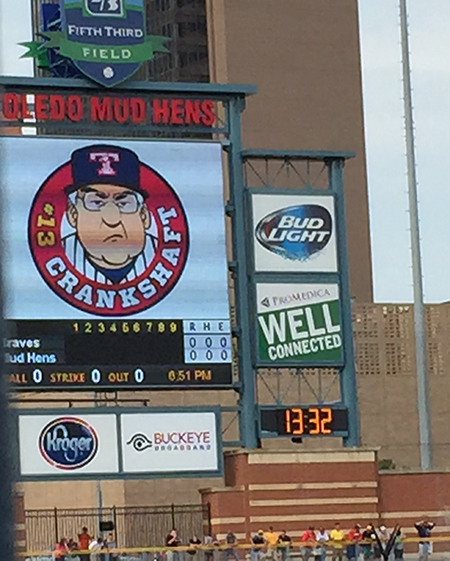 I took the Mud Hens to my heart, and, they in turn, took Crankshaft to theirs putting their famous fictional teammate in their Entertainment Hall of Fame. 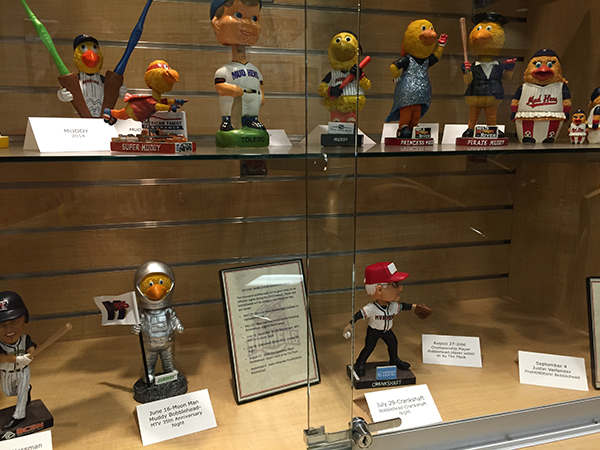 My thanks to the Mud Hens for making it a magical evening that won’t be forgotten. 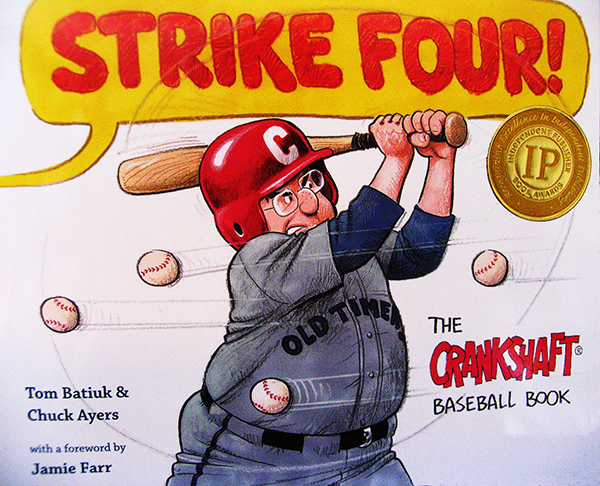 For those interested in reading Ed Crankshaft’s baseball adventures, they’re all collected in this award winning book that can be purchased at the Books section of this website.